Fancy a chance to win this gorgeous piece of screen printed linen? Printed by moi...today! Hop on over to my Facebook page for the low down. This photo does the fabric no justice what-so-ever. It is a very beautiful summery sea-green sort of colour. The red of the apples is deep and rich. The piece is about 32x47cm....a great size to make something with! I have a few more pieces which will wing their way in to my shop and on to Etsy this week...once I have been able to take some better photo's in great lighting. A few smaller robot prints will join the apples. Apples and robots!? Strange combination. But, that is inspiration for you!! 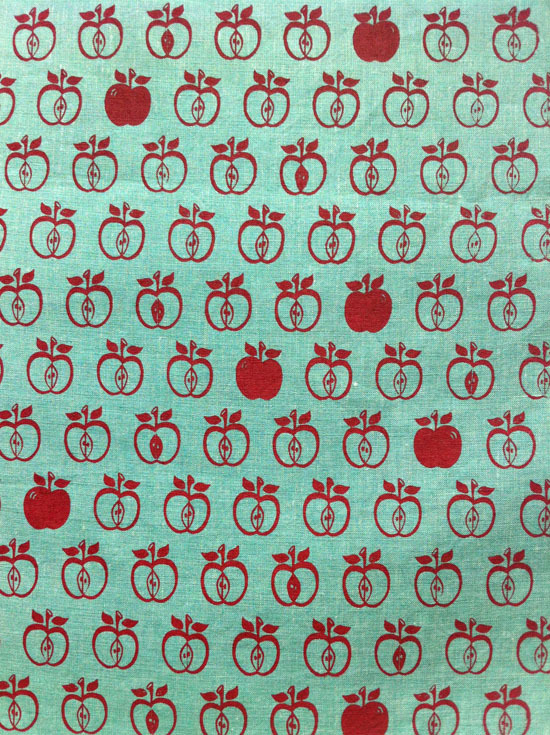 Any suggestions on a name for this appley-linen fabric? Teacher's Pet :) Love it!! !